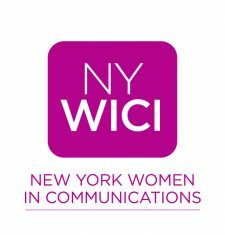 NYWICI Founded in 1929, New York Women in Communications (NYWICI) is the premier organization for female communications professionals. Today, the not-for-profit association has more than 2,000 members — from senior executives to students and entrepreneurs to young professionals — in a variety of communications disciplines, including journalism, broadcasting, corporate communications, digital, publishing, advertising, integrated marketing, photography, public relations, graphic design and more. NYWICI’s mission is to empower women in the communications field at every career stage to reach their full potential and navigate the ever-changing landscape of communications. We promote professional growth and inspire members to achieve and share success by actively encouraging leadership and professional development, as well as networking opportunities that connect women who connect the world. Each year, we award scholarships ranging from $2,500 to $10,000 to high school seniors, college and graduate students, and offer educational programs, including an annual Student Communications Career Conference for women beginning their careers or embarking on career transitions. We also award empowerment grants to more seasoned NYWICI members. To date, we have awarded more than $1.6 million in scholarship support to over 300 women. As women who connect, create and communicate, NYWICI members serve as role models, career advisors and mentors.